The prime emphasis of this sqadia.com medical lecture is on the paediatric asthma. 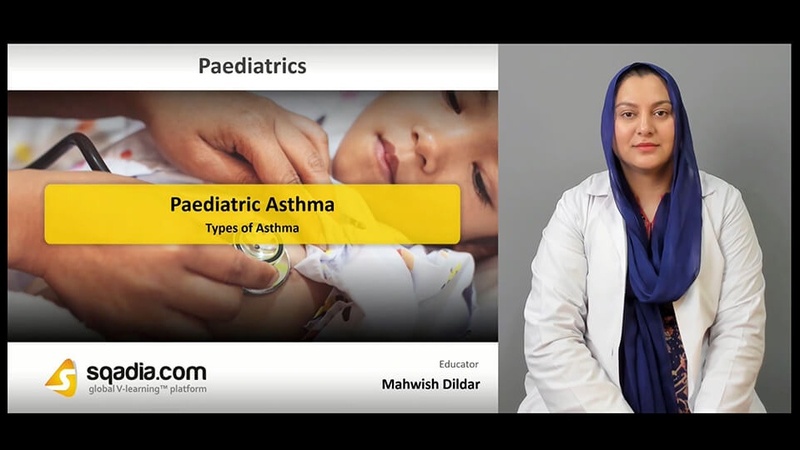 All the major aspects related to asthma have been thoroughly explained in this V learning lecture. From a discussion on wheezing, its patterns to asthmatic attack and pathogenesis, all the facets have been explicated. 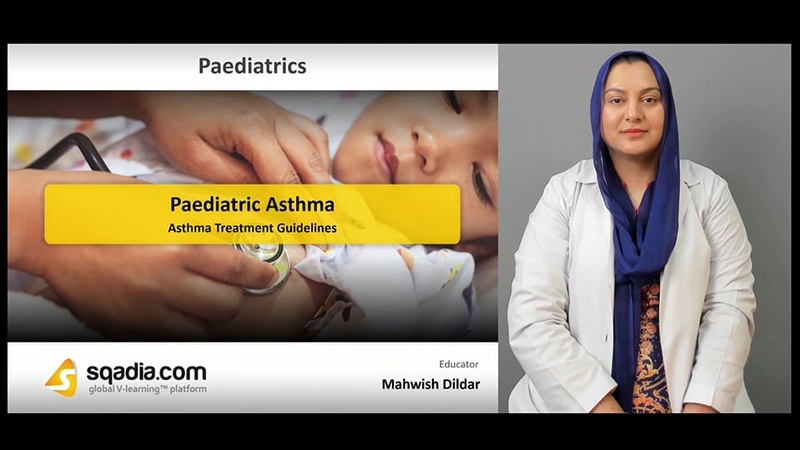 Furthermore, asthma treatment guidelines, acute asthma and its types have been mentioned in detail. The major focus of this section is on wheezing. In the beginning, this term has been defined. Following this, its pathogenesis, clinical presentation along with the transient early wheeze has been delineated. 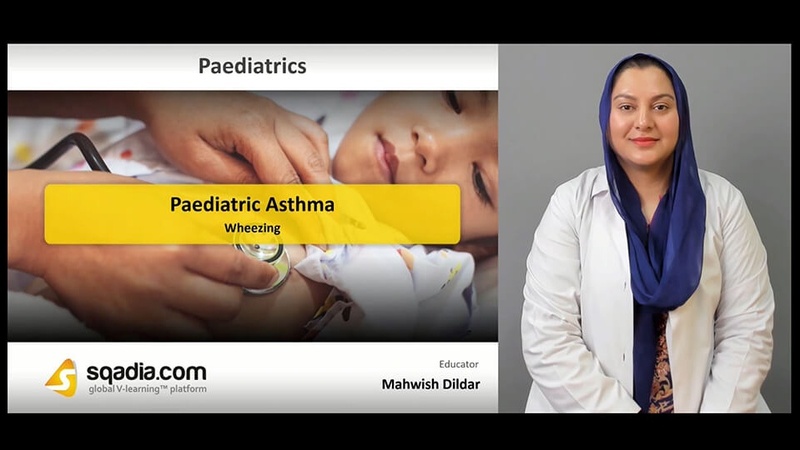 Additionally, persistent and recurrent wheeze, non-atopic asthmatic wheeze and child assessment with tachypnoea or wheeze has also been elaborated. In the end, differential diagnosis along with the treatment has been highlighted. 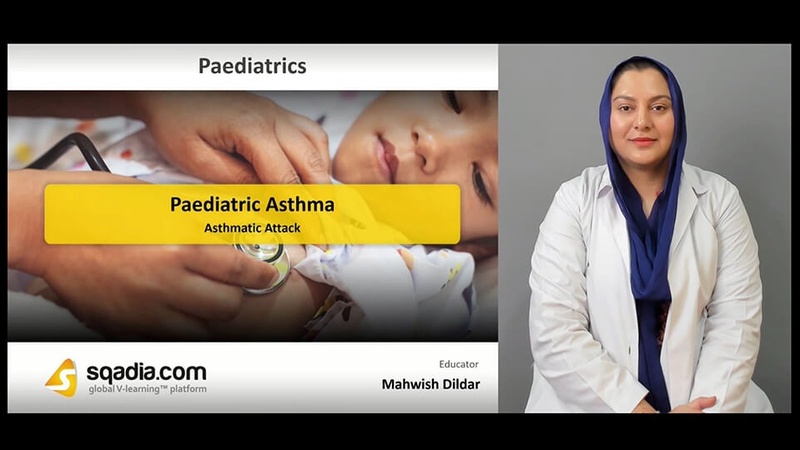 Initially, definition of asthma, its triggers and risk factors along with the pathogenesis has been explained thoroughly. In addition to this, the inflammation cycle, clinical presentation and patterns have also been explicated. Furthermore, diagnosis, investigations and differential diagnosis have been conversed about in-detail. Primarily, the management and the bronchodilator therapy has been brought under discussion. Following this, inhaled corticosteroids, add-on therapy and certain other therapies have been considered. Conclusively, British guideline on asthma management along with the non-pharmacological measures have been shed light upon. In the beginning, the term acute asthma has been defined. 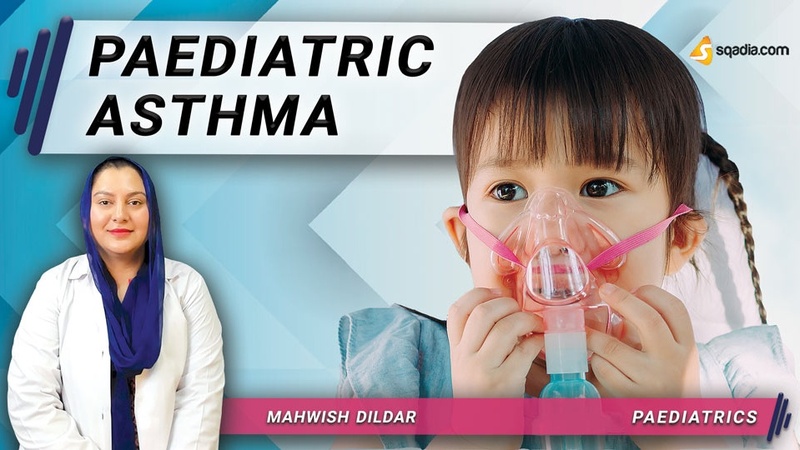 Subsequently, its clinical assessment, asthma severity, certain investigations along with the assessment of child has been comprehensively explained. Moreover, criteria for admission to hospital, management, patient education and choosing the right inhaler has been talked about. In the end, asthma comorbidities and prognosis has been mentioned. Status asthmaticus has been firstly described. Moving ahead, chronic asthma, its treatment along with the prognosis and prevention has been conversed about quite expansively. The lecture has been summed up by a mention of another condition entitled exercise induced asthma.